Leptilean is a weight loss supplement produced in America by AdvoCare. The company produces a number of other health and fitness products and sells them worldwide via a network of multilevel marketing (MLM) distributors. As is generally the case with MLM businesses, distributors sign up hoping to create a lucrative business, but making a success of MLM is notoriously hard and products that are marketed in this way are often quite poor. According to the Leptilean sales page on the AdvoCare website, Leptilean is an “innovative weight-management product” that also encourages a healthy cardiovascular system, helps maintain correct blood glucose levels, and provides an overall feeling of wellbeing. Leptiean is first and foremost an appetite suppressant that has additional benefits. As an appetite suppressant it is worth consideration. 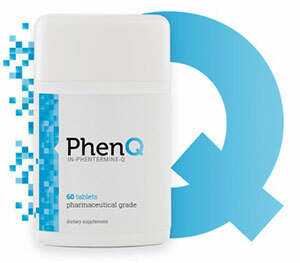 In our opinion PhenQ is a better product – not only can it support appetite suppression but also help to burn excess body fat as well as prevent or blocking new fat. Vitamin A (1,429 IU): The Vitamin A used in the Leptilean formulation comes courtesy of a plant pigment called beta-carotene. It is naturally occurring in many fruits and vegetables and can also me synthesised in a laboratory. It offers many health benefits, but is probably included here because it is known to be a heart-healthy vitamin. Biotin (1mg): Also called Vitamin B7. Biotin is one of several B Vitamins that are often added to weight loss supplements because B Vitamins are known to be supportive of a healthy metabolism. Naringin Extract (125mg): The compound that provides grapefruits with their distinctive, bitter taste. It has the ability to enhance the effects of caffeine and help it to be retained in the body for an extended period of time. 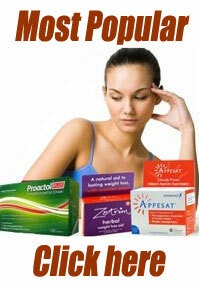 Some research suggests naringin may also enhance fat metabolism, but further study is required. Cat’s Claw Extract (50mg): A herb that is believed to boost the immune system and is sometimes used for treating chronic fatigue syndrome. It is credited with numerous other abilities, including kidney cleansing and birth control, but scientific evidence is lacking right across the board. PhosphoLean (N-Oleoyl-PE + EGCG (NOPE + EGCG)) (100mg): A patented ingredient that provides a specific catechin (EGCG) that is associated with green tea. Green tea catechins have proven weight loss-providing abilities, but PhosphoLean also contains a secondary ingredient called NOPE. The results of a study conducted at the University of Central Florida are supportive of PhosphoLean’s ability to encourage weight loss, but the research also revealed it loses its effectiveness after 8 weeks of use. The formulation contains a several more ingredients, but inclusion rates are not available because they are incorporated into a proprietary blend. The fact that the weights and ratios involved are not known makes it impossible to predict how the blend will perform, but Gum Arabic has been associated with appetite suppression and may also help lower cholesterol levels. Guar Gum is also credited with cholesterol lowering abilities and the fact that is expands in the intestines may allow it to provide a feeling of satiety that could naturally supress the appetite. Locust Bean Gum (carob) provides tannins that can interfere with the digestive enzymes, so it may be able to assist weight loss, but this ability has never been proven. Pomegranate aids the digestive process, and Blue Green Algae is an ingredient sourced from saltwater habitats. It is credited with many abilities, but none of them can be supported by scientific evidence. How to Take Leptilean – Two capsules are required per day and should be taken 45 minutes prior to eating a meal. AdvoCare fails to explain if this is two one-capsule doses per day or if the capsules should be taken together as one dose. Some AdvoCare distributors market products via Amazon and this has allowed customers to share their views about Leptilean. Many customers state the product does not work and a few people even state Leptilean made them feel more hungry than normal. The Amazon feedback system also provides an equal number of glowing testimonials that are unusually long and appear to have been left by customers who not only say the product works for weight loss, but also state it helped them with other health problems. However, it is possible that some of these reviews may have been written by distributors. Potential customers are also advised to check out this page on the Ripoff Report website because it contains numerous complaints about AdvoCare, some of which have been left by people who claim the company’s products made them ill.
AdvoCare states their product is not suitable for pregnant or nursing mothers. No other health advisory is offered, but cat’s claw extract has not been sufficiently studied. It has also been linked to many side effects including vomiting, headaches and dizziness. It may also have the potential to interfere with blood clotting abilities. Bearing this in mind, all potential users are advised to consult with a doctor prior to commencing supplementation with Leptilean. The AdvoCare website does not contain any easy-accessible information about whether or not a guarantee is available, but many distributors claim there is a 30-day money back guarantee. The returns policy on one distributor’s website states distributors can be suspended for not honouring the guarantee, but at least one Amazon customer states he was refused a refund because he had opened the pills and tried them. A bottle of 60 capsules costs $45.95 when purchased via the AdvoCare website, but it is usually possible to purchase a supply of pills considerably cheaper via Amazon. 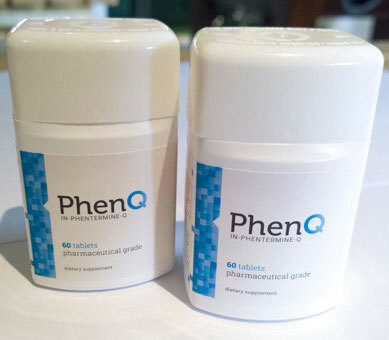 As we have highlighted above PhenQ is amore rounded diet product with multiple benefits. PhenQ is also backed by a refund policy that allows users their money back for up to 2 months – plus free delivery anywhere in the world.